Should you consider banking a profit on UK property? 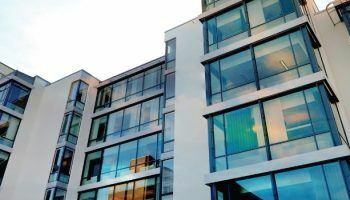 While the UK property market is flying high, some experts believe there is further to go and others are not so sure, perhaps now is the time to reconsider your investment portfolio. It can be difficult to even consider a sale when markets are still moving further ahead but the fact is that the UK market has been very strong over the last couple of years and this cannot last forever. While it would be wrong to suggest we are on the verge of a crash, it does seem as though we will hit a number of different headwinds in the short to medium term. As difficult a decision as this may be, is it now time to consider banking a profit on your UK property assets? If you look at the situation regarding UK base rates we have now reached many of the provisos originally set by the Bank of England to prompt an increase. Inflation is now down below 2%, unemployment is now down below 7% and the UK property market is pushing ahead very strongly into what some believe to be very dangerous ground. Considering these elements, if you were advising somebody else about the UK property assets, would you be a buyer or a seller? There is speculation that base rate will remain unchanged until after the election in 2015 but this is not set in stone. If the UK economic recovery continues, if inflation remains under control and, perhaps more importantly, the property market continues to power ahead would you bet against an increase in base rates before the next election? Since 2008, when the US mortgage crisis emerged, base rates around the world have remained at historic lows. This has led to relatively cheap finance across the real estate industry which has allowed some people to jump onto the property ladder when perhaps in “more normal” times this might not have been possible. However, as a consequence there are millions of people around the world who have got used to relatively low mortgage rates and relatively low mortgage payments. This situation could be about to change for many around the world, and perhaps for those in the UK quicker than expected, with a potentially enormous jump in their mortgage payments. UK base rates are currently 0.5% which is less than inflation, yet another reason why many people have decided to invest in the property market as opposed to saving. When interest rates do rise there will be an immediate jump in mortgage rates which will affect those on variable rates in the short-term and those needing to renegotiate their fixed rates in the long-term. This could lead to a significant increase in monthly mortgage outgoings although, despite the fact that some countries are experiencing wage inflation which is higher than price inflation, it is unlikely to be enough to make up increased mortgage payments. As a consequence, we will likely see a reduction in disposable income which will impact the economy, businesses, unemployment as well as the real estate market. Savers will welcome this first step towards more realistic base rates around the world although this will have an impact upon the mortgage market, as well as the real estate industry, in the short to medium term. So, on that basis, is now time to consider cashing in your UK property chips? Is the UK moving from property ownership towards property rental?